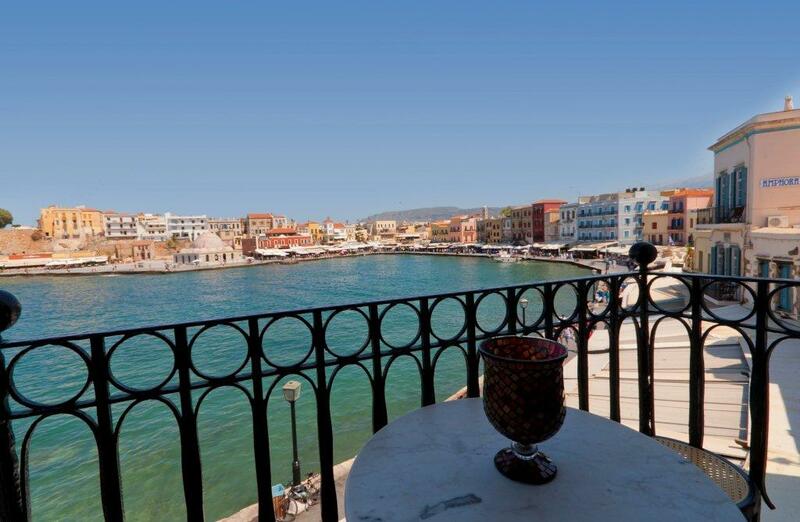 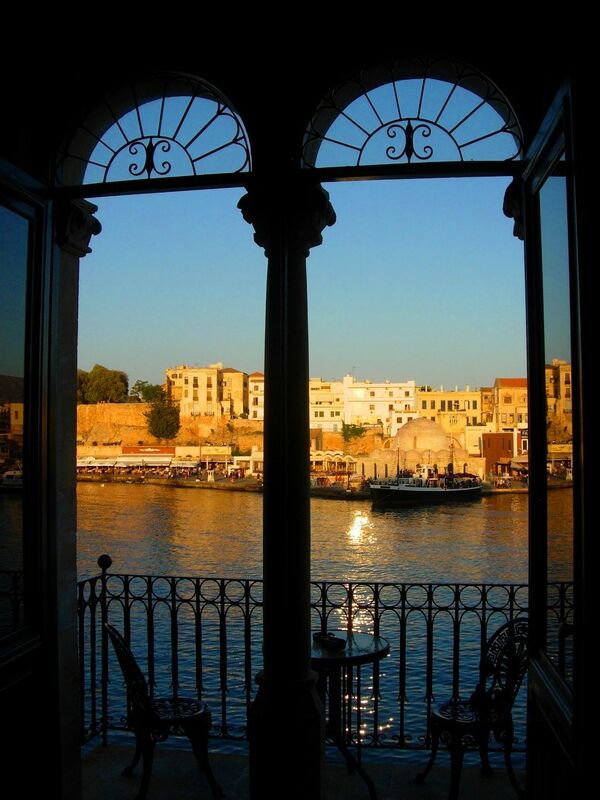 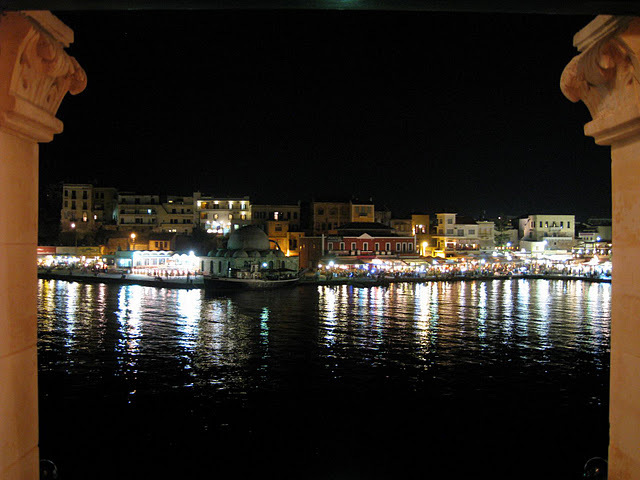 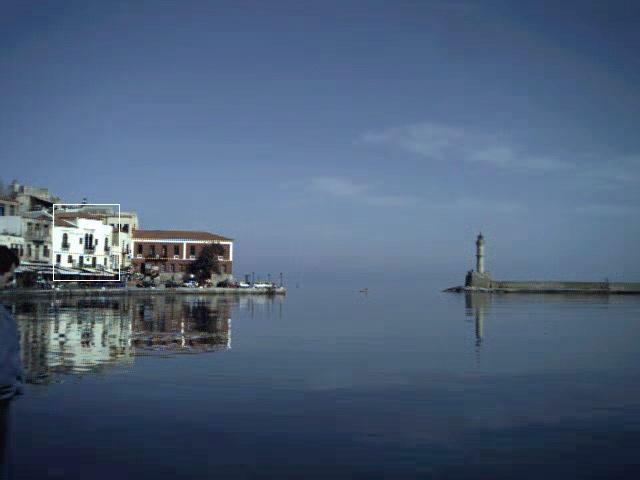 Welcome to CASA LEONE Hotel in the heart of the Venetian port of Chania. 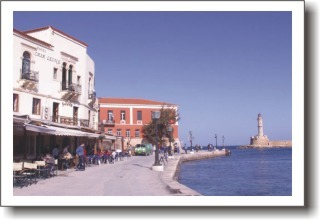 The entrance to the hotel is from number 18 Theotokopoulou the first side street you meet. 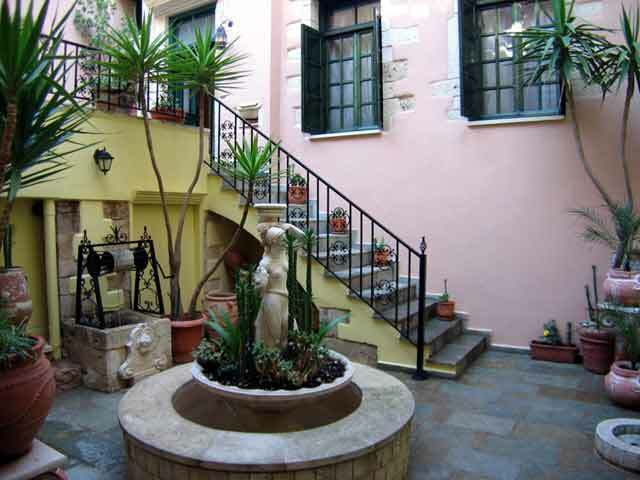 The building, erected 600 years ago, has been restored in order to regain its original Venetian look with impressive results. 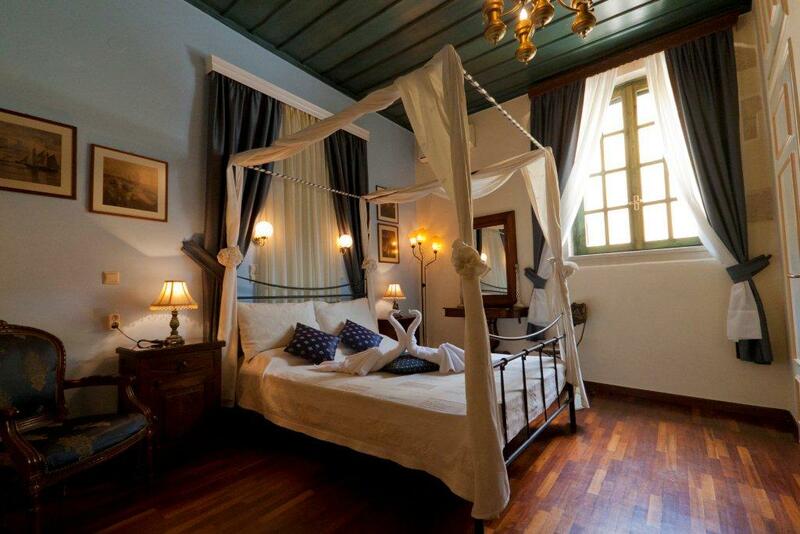 The romantic atmosphere which prevails everywhere transports you far back in time. 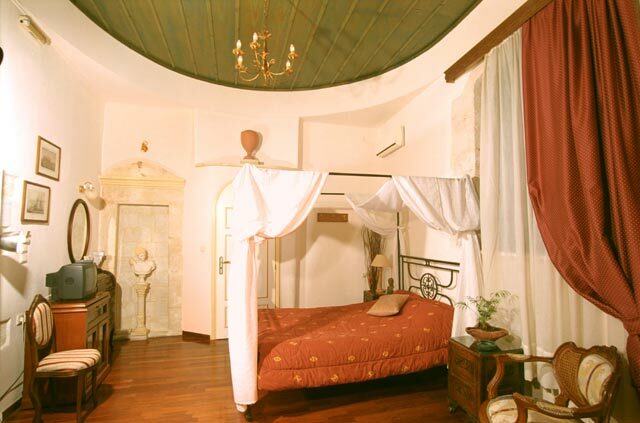 The rooms, double and triple, are comfortable and luxurious. 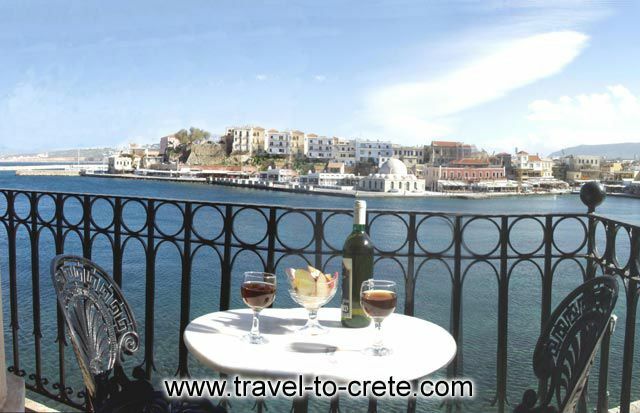 All rooms have air conditioning, TV, friger, safe box,hair dryer and a view over the port, by private balcony or veranda or by the public balcony of the hotel. 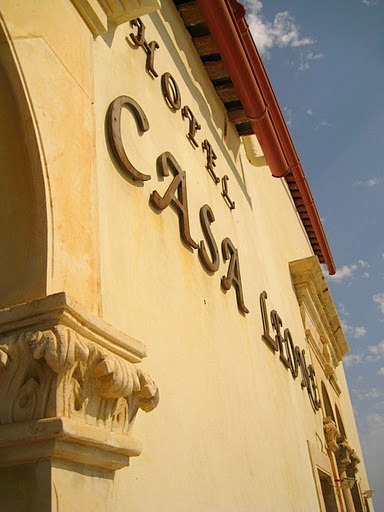 The visitor can enjoy a drink or ice-cream in the yard, which has a fountain or in the large lobby. 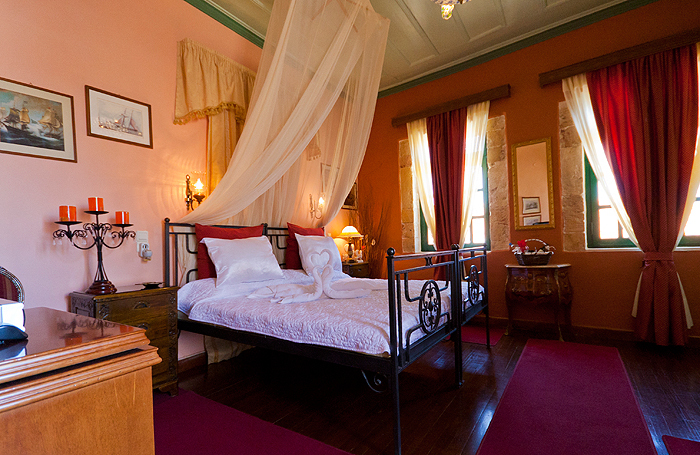 Experience a magic trip through time in this very special place. 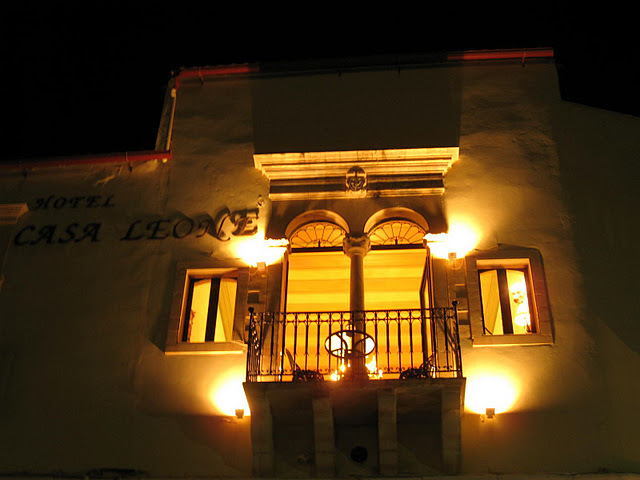 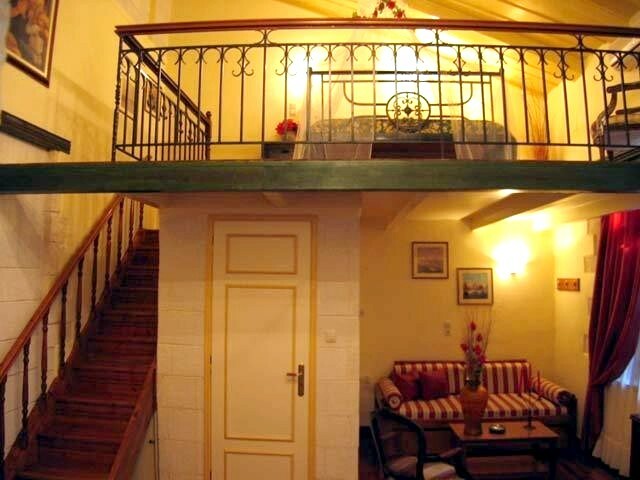 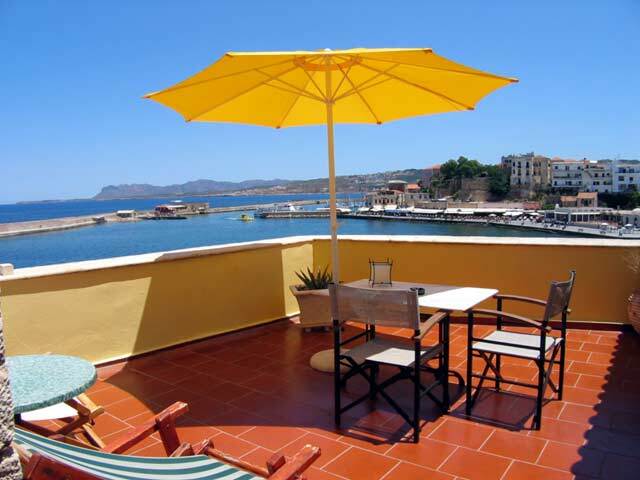 The Casa Leone Hotel is available the whole year and the prices vary from 80 Euro to 150 Euro.